The segment of ultra-wide, fast zoom lenses designed for full frame is very differentiated. In fact it seems every producer follows their own path, or even several paths at the same time. In the case of Canon it all started in 1989 with the EF 20–35 mm f/2.8L lens; then we were showed the EF 17–35 mm f/2.8L USM and two 16–35 mm f/2.8L models, the last launched in 2007. Sony decided to construct an instrument with similar parameters; they were helped by Zeiss and, as result, the Carl Zeiss Vario Sonnar 16–35 mm f/2.8 T* SSM was produced. In that system you can also get a support from Minoltas, e.g. the AF 17–35 mm f/2.8–4 (D) model. When it comes to Nikon there is the elderly Nikkor AF-S 17–35 mm f/2.8D ED-IF, launched in 1999 but still available; in 2007 their line-up was supplemented by the excellent Nikkor AF-S 14–24 mm f/2.8G ED. The situation of independent producers is also interesting. 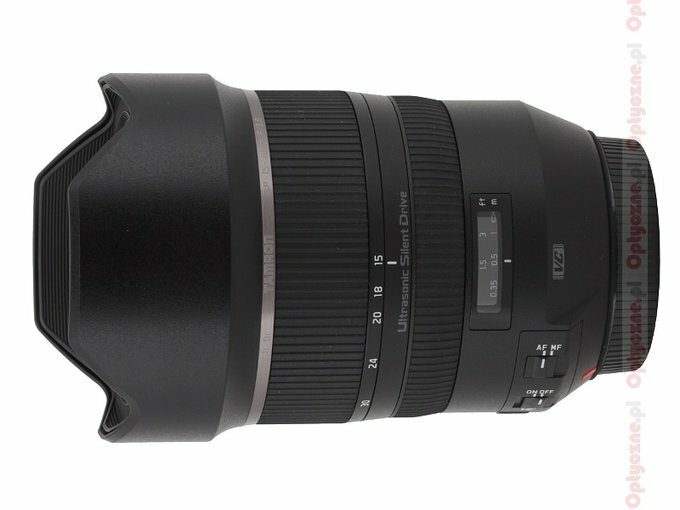 Tokina offers you the AT-X PRO FX SD 16–28 mm f/2.8 (IF), and even several years ago Sigma was still selling the 17–35 mm f/2.8–4 EX DG HSM Aspherical model. Tamron seemed to follow a similar path, offering roughly at the same time as Sigma the Tamron SP AF 17–35 mm f/2.8–4 Di LD Aspherical (IF). 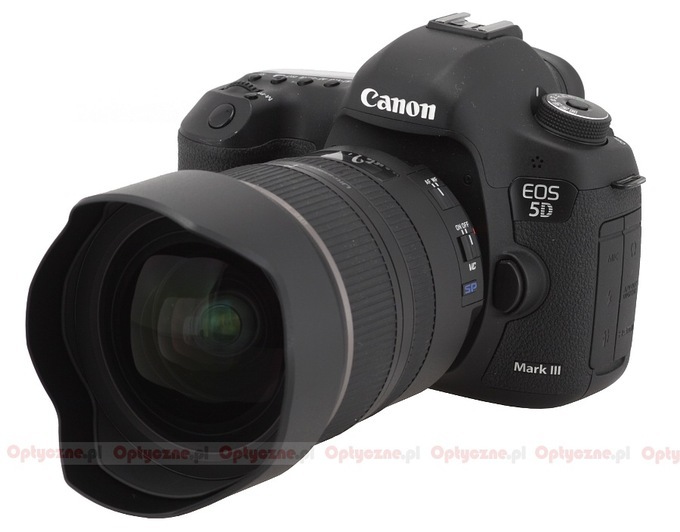 However, that lens has been absent from the market for several years now. It’s clear the time has come to change something. 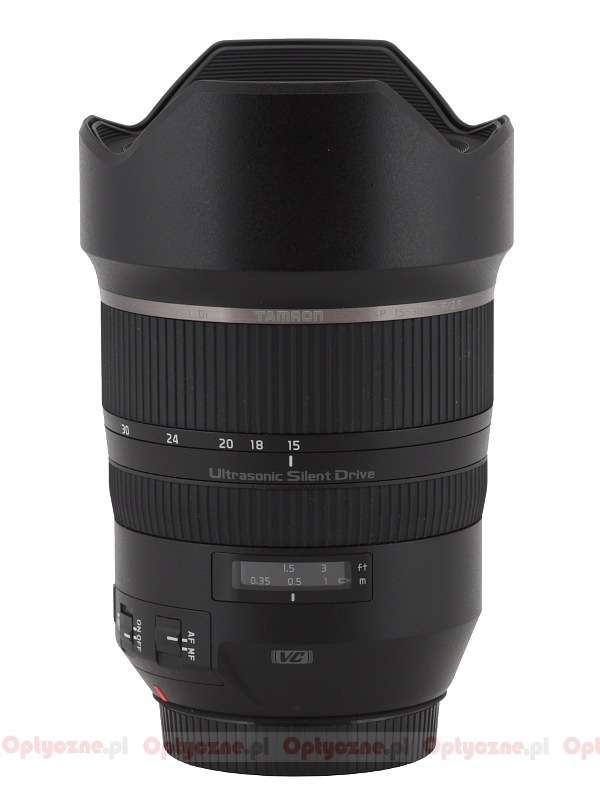 During the Photokina 2014 Tamron announced the launch of the Tamron 15–30 mm f/2.8 Di VC USD; according to their claims it was designed to cooperate smoothly with even those full frame sensors which are really densely packed with pixels. Courtesy of the Fototechnika company we got one specimen of that lens delivered really fast for testing purposes and we had a good, long look at it. The results are presented in the following chapters – happy reading!